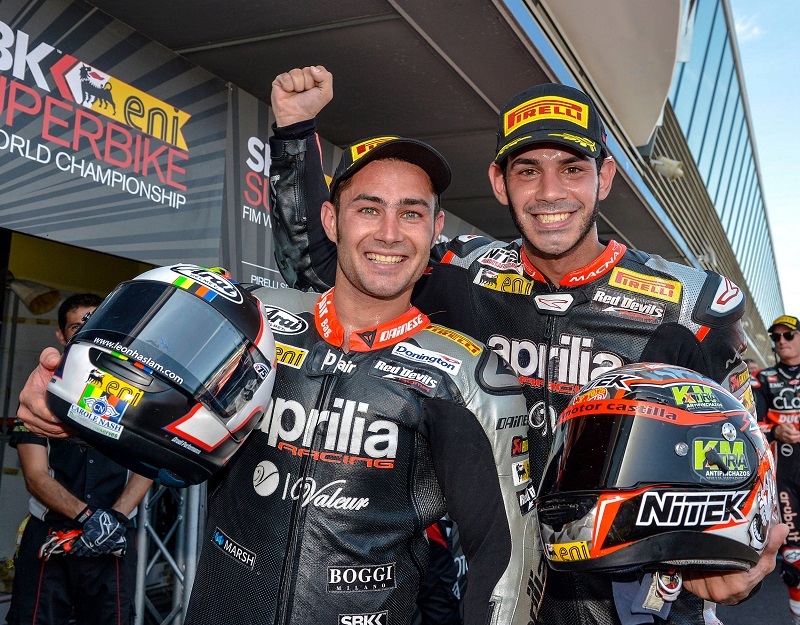 Noale, 30 September 2015 – The penultimate round of World Superbike 2015 will have the factory derivative bikes taking on the historic French Magny-Cours track. The Aprilia Racing Team – Red Devils arrives at this race after placing both riders on the podium at Jerez de la Frontera and with memories of the double one-two that the RSV4 machines brought home last year. These are conditions that justifiably make Leon Haslam and Jordi Torres quite optimistic. The two riders from the Italian team are strongly motivated to finish out the season in the best possible way: Leon has the opportunity to grab third place in the overall rider standings, whereas Jordi is keen to confirm his status as best rookie of the season. The Névers track is quite a tricky one and the decidedly unpredictable weather doesn’t help. The characteristics of the track require maximum attention during the practice sessions, both to adapt to a decidedly complex layout and to get ready to handle any weather conditions that may arise.